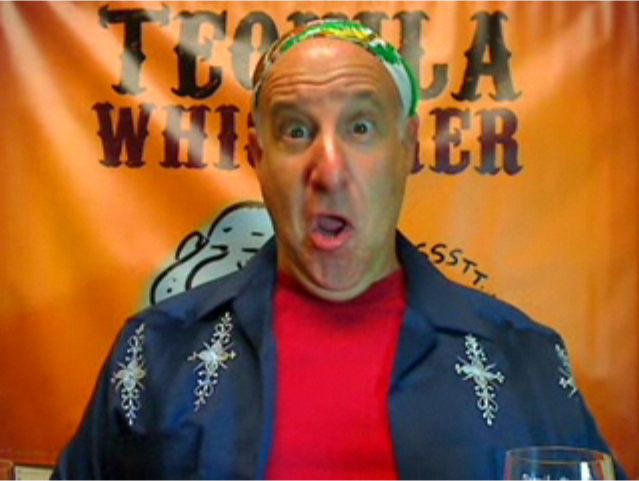 Tequila Whisperer™ – Page 20 – Gourmet Tequila Tasting & More! In these days of tight budgets it’s getting more and more expensive just to TRY and get tight! As a public service, your friendly neighborhood TEQUILA WHISPERER is at your service – finding the best-tasting agave juice for the lowest price as part of our continuing BARGAIN BOTTLE BONANZA! What a wild evening this turned out to be, friends! Th’ Lip had to BLIND IDENTIFY five different fan-supplied minis. He felt quite confident throughout the event, but in the end the results were less than stellar, unfortunately. Yesterday I received a cryptic email from a tequila buddy. He doesn’t write me often, but when he DOES it’s ALWAYS good news. This email was no exception. Seems he’d been in my area over the past weekend and had found some fertile treasure stores. You know the kind I like: bored clerk who’ll let you stand and stare at the shelves behind him for HOURS, crowded dusty shelves with one-off bottles of many different brands, TV set going in corner so he leaves you alone even LONGER. These stores had all of that! I jumped in the car and hurried over to the first “Treasure” shop searching desperately for what I’d been told was laying in wait: multiple wooden collector’s boxes filled with individual bottles of Cuervo’s famed “Reserva de la Familia” anejo. This juice is extremely limited in production and distribution, and even when new it retailed for $100. On the collector’s market some vintages go for as much as 15 times that or more!